"Beyond the Silk Mills" March 2015 Giveaway ~ The History Girl! 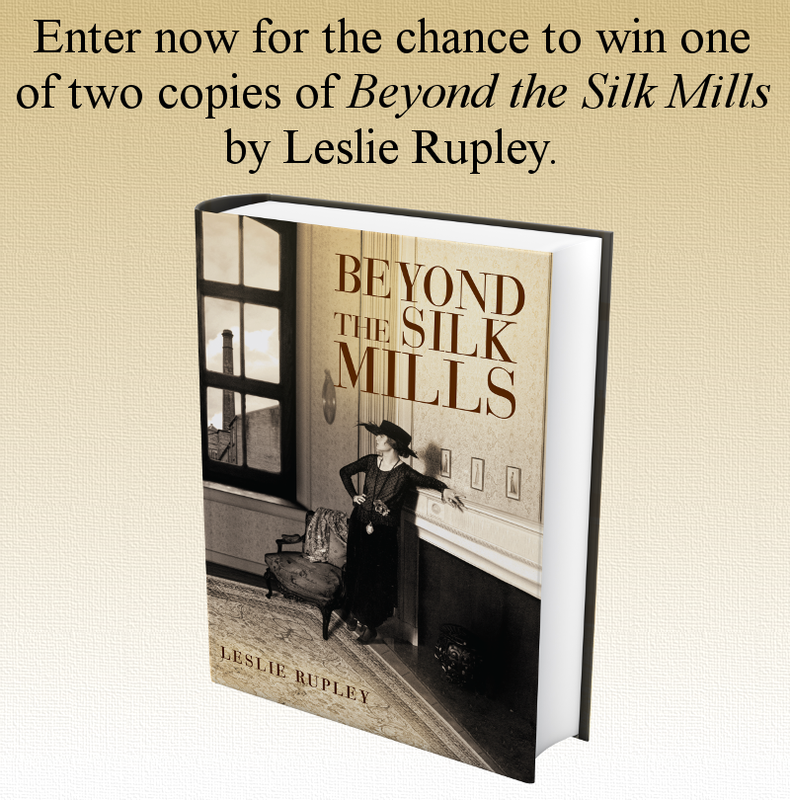 Thanks to author Leslie Rupley, The History Girl is offering two copies of her book Beyond the Silk Mills. In order to be in the running, submit your name and e-mail address below! Emma, a Jewish immigrant to New Jersey in 1900, dreams of the wealth that will usher her family into high society. She defies the odds for a poor immigrant woman to succeed in her own business ventures, finagling her way to success and prosperity, but at a terrible price. Emma's husband Meyer disdains wealth and has a passion for workers' rights that stems from his days as a weaver in the Jewish ghetto of Lodz, Poland, where he was an activist in the socialist Labor Bund. When he unionizes his comrades for the historic Paterson Silk Strike of 1913, their lives change forever. Their daughter, Sophie, is forced to choose between her parents, and the choice leads her to the tenements of New York's Lower East Side, unlikely friendships, pregnancy, and newfound love. Beyond the Silk Mills is a compelling saga of family discord, ambition, romance, and regret. The Epstein family's struggle during the early twentieth century in New York City and Paterson, New Jersey, illuminates the roots of modern feminism and contemporary labor issues. Rules *One entry per person. *Valid for all residents of the 50 United States of America, 13 years of age or older. *Entries without a valid e-mail address are not eligible. *Contest begins March 15, 2015 at 6:00 pm EST and ends March 21, 2015 at 8:00 pm EST. *The winner will be chosen at random. *The winner will be notified via e-mail on March 21, 2015 after 8:00 pm. The winner must respond with a mailing address within thirty-six (36) hours or another winner will be chosen.